This universal, dual wiper drive kit has two wiper shafts that are driven by a remote mounted, commercial duty, 2-speed wiper motor. The sweep is adjustable from 90°-160° in 10° increments. Wiper shafts accept arms (not included) that fit 1/2" fine spline knurls or arms that fit 1/4" shafts. 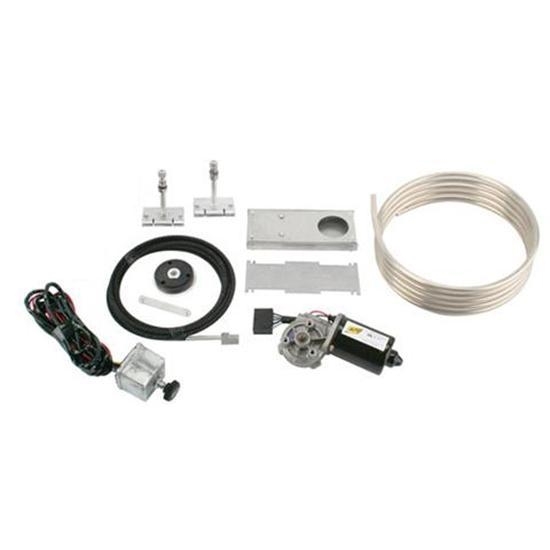 This complete drive kit with 144" long drive cable and 2-speed intermittent (knob) switch. Manufactured by Specialty Power Windows. Specialty Power Windows Wiper Knurl Stub, 0.25 Inch I.D. Specialty Power Windows Wiper Knurl Stub, 1/2 Inch I.D.